This entry was posted on August 13, 2013, in Cultivating Creativity, Self Discovery and tagged Clarissa Pinkola Estes, doll making, expressive art, intuition, wish doll, women's wisdom. Bookmark the permalink. It seems I’m far beyond the age for playing with dolls. 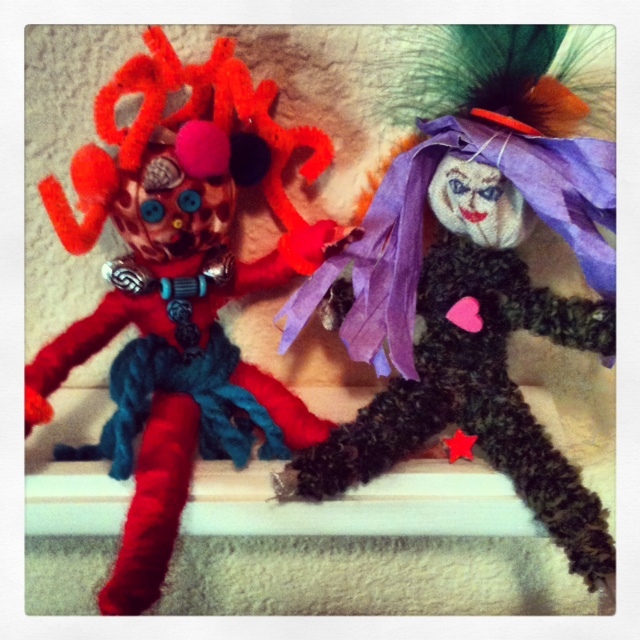 And yet, during the past year or so, I’ve made two dolls, both times in the company of other women. Let me tell you, sitting together in a circle and creating these small dolls has been a treasure, both the process and the outcome. And as I write about this experience I’m struggling for words to describe it, because it was so unexpectedly deep and soulful. So instead of trying to put it into words myself, let me share with you the words of a wise woman, Clarissa Pinkola Estes. Dolls are believed to be infused with life by their makers. It is the symbol of what lies buried in humans that is numinous. It represents a little piece of soul that carries all the knowledge of the larger soul-Self. In fairy tales these represent a deep throb of wisdom within the culture of the psyche. In this way the doll represents the inner spirit of us as women; the voice of inner reason, inner knowing, and inner consciousness. The dolls serve as talismans. The talismanic numen of the image of the doll reminds us, tells us, sees ahead for us. This intuitive function belongs to all women. Now, on this fine August day, or sometime soon, wouldn’t it be wonderful to gather a few friends into a circle for doll-making? If you decide to try it, here’s an easy way to make a Wish Doll. And I’d love to hear how it goes. Enjoy!